The word “safari” in the Swahili language means “journey.” Wilderness Inquiry safaris in Kenya and Tanzania balance African wildlife viewing with phenomenal cultural experience to provide the journey of a lifetime. 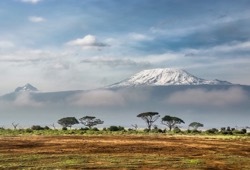 Travel by foot and four-wheel drive vehicles to exotic places like the Masaai Mara Reserve, the Ngorongoro Crater, the Serengeti or Kilimanjaro, the roof top of Africa. You will see an amazing array of animals–lions, leopards, elephants, and hippos abound here. Birdwatchers are never disappointed and incredible landscapes leave long-lasting impressions. Even better, you will visit Masaai villages and become immersed in local culture. People come to East Africa to witness the natural world, but in the process they fall in love with the people who live there. 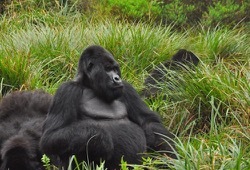 The idea for the East Africa safaris with Wilderness Inquiry was born in 2003 on a Mt. 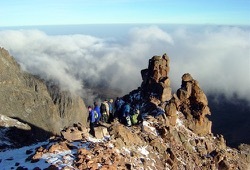 Kilimanjaro climbing trip that included Andy Walz and Richard Muthoga Mwaura before they worked with WI. They dreamed of sharing their appreciation and knowledge of East Africa with fellow adventurers. 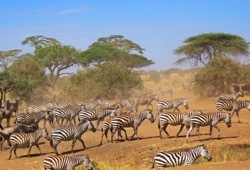 This dream became a reality in 2005, and WI has been conducting safaris in Kenya and Tanzania since then. We work very closely with local guides and partners in each country who know the people, the land, and of course the animals. 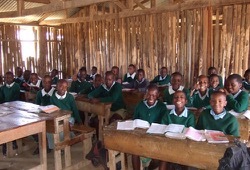 In addition to safari wildlife adventures, we partner with local schools and organizations to host service safaris. Depending on the trip you take, you may have a chance to visit and serve with them. Check out our Kenya blog and Tanzania blog to read stories about our past safaris and watch videos about participants’ experiences. 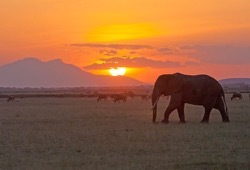 Going halfway around the world to East Africa is truly the adventure of a lifetime for anyone. 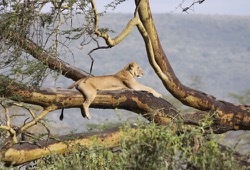 For more information about adventures in East Africa please contact us at 612-676-9400 or info@wildernessinquiry.org.